I was lucky enough to get some vouchers for Amazon for my birthday recently. I bought some things I needed, but then had a couple of pounds left on the voucher. I decided to ‘waste’ this on some MiFare Classic 1K RFID cards. These can be formatted to the NDEF standard, which means that many devices (although usually phones in everyday use) will understand the data payload and know what to do with it. 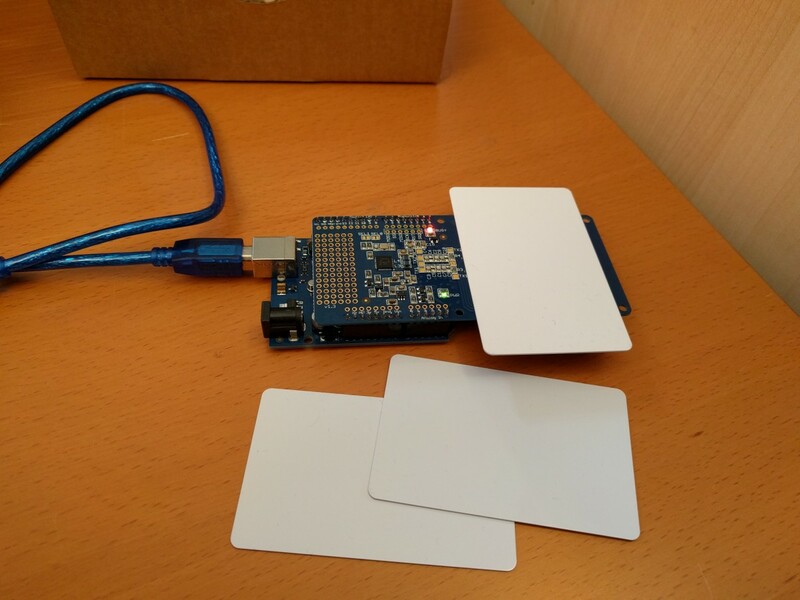 I used a trusty Arduino Uno together with a PN532 RFID chip to write a URL onto the cards. Now anyone with an RFID enabled phone can scan the cards and instantly be taken to a website with more info about me. I like to think of it as an RFID business card! It’s too expensive to use MiFare Classic 1K as business cards just embed your website in the chip. And many phone can not scan it, you can use Ntag203 this chip as your RFID business cards. Any chance of getting instructions on how to do this? I used an Arduino Uno, together with an Adafruit PN532 breakout board. The example sketches from Adafruit contain everything you need to write the cards.